The classic hunting and target round—now more affordable than ever. Prior to WWII, the U.S. Military determined that support troops needed a lighter, more compact rifle than the cumbersome M1 Garand—and the M1 Carbine was born. This new rifle needed a new round: the .30 Carbine. Since its inception, it has become a beloved target and hunting round with a wide variety of applications. 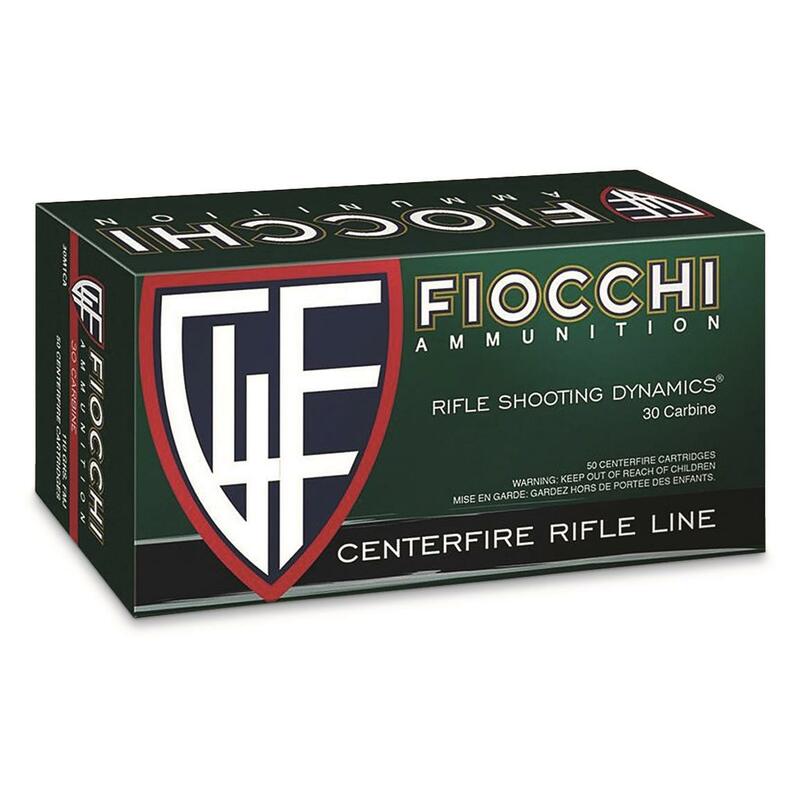 Fiocchi shooting dynamics, has created a top-notch .30 Caliber round for your next range day, when you feel like dusting off the old M1. 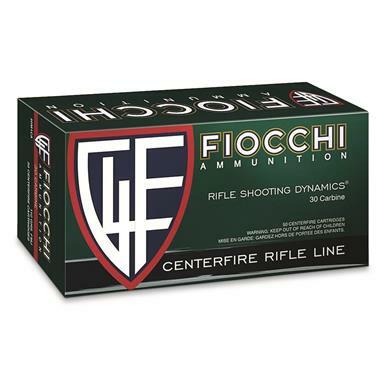 Fiocchi Shooting Dynamics, .30 Carbine, FMJ, 110 Grain, 50 Rounds is rated 5.0 out of 5 by 2. Rated 5 out of 5 by Bill from Great Price This was a very good deal and makes plinking with the M1 Carbine inexpensive. These work well in my rifle.